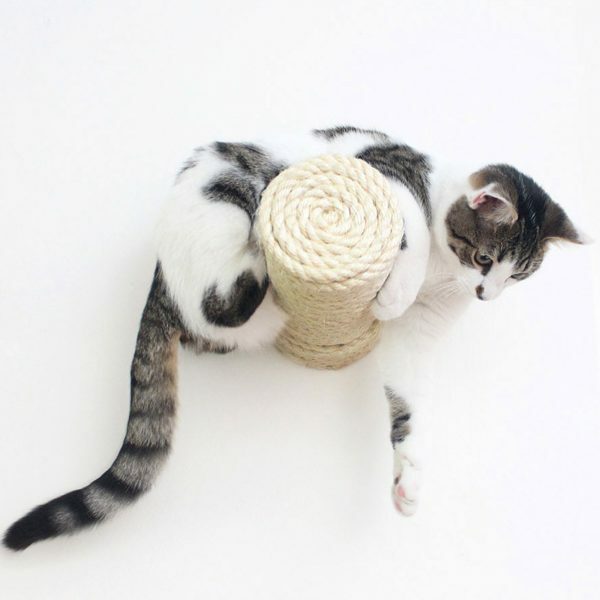 These are bracket-less sisal posts that are meant to be used like steps. We have three cats, each with a different size and shape. Each one of them is able to use these steps with no problem. Ickle is our hefty 18 lb cat and has surprised us most with his agility on these pieces. Heisenberg is our lanky, active cat who can conquer anything. 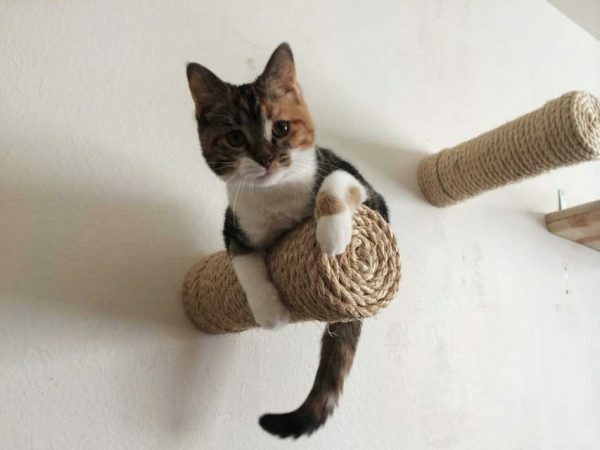 Lylah is our dainty little girl who is the only one able to fully lounge on these posts. They can all jump up from below and pull themselves up onto the posts. We created a full wall of these to resemble the Plinko game from The Price is Right and it was wildly successful! Click here to check it out! All of our furniture comes with screws. When screwed into a stud, these posts are very strong and have been tested to hold 62 lbs. 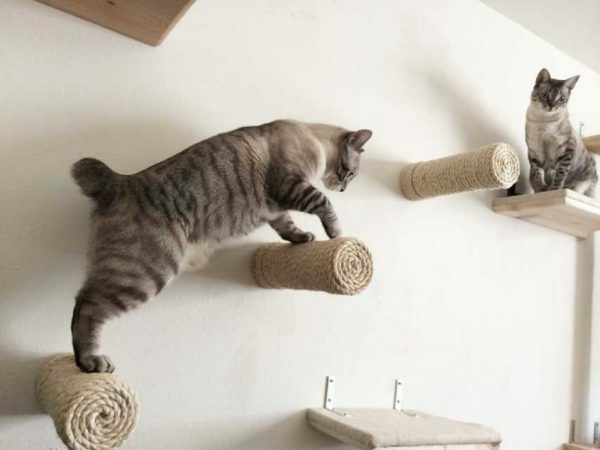 The cats in my cat café love climbing on these and chasing the laser light up and down the wall. 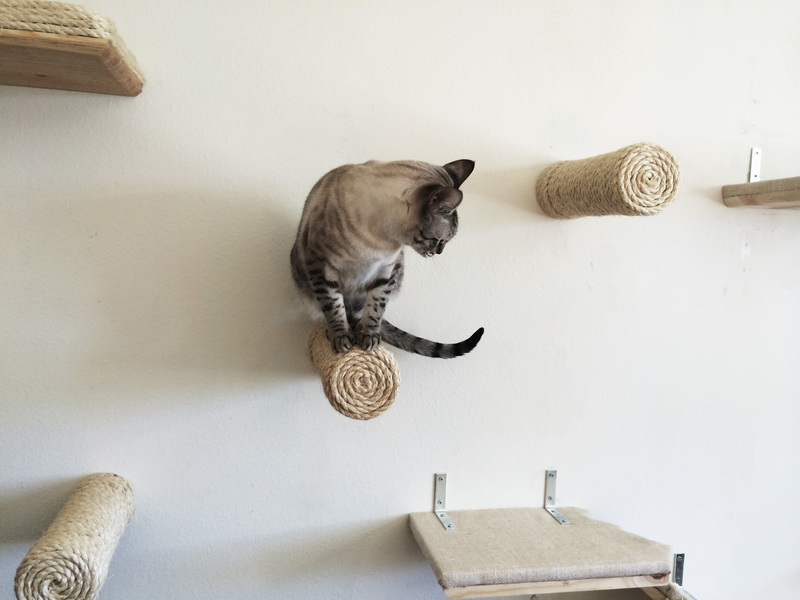 Because the floating sisal pole & the small step shelf look & feel different to the cats they are more motivated to explore. Even our most timid boy is now slowly enjoying all the wall furniture. Your customer service also deserves a 10 star rating. Easy to install and the cat is having a blast! Thanks! 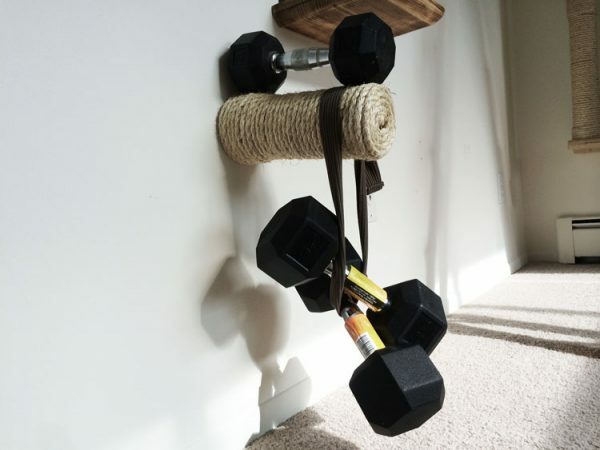 "My Maine **** cat loves climbing on these steps and also just sitting and scratching. It provides him the perfect perch to keep an eye on things. The steps are very well made, the instructions were very thorough and they were easy to install. 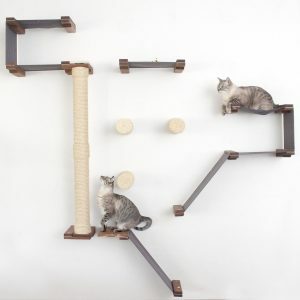 We will be buying more items from this shop as they are a hit with our cat." "Solid and well built. Highly recommended."